Marine Managed Areas (MMAs) are specific geographic areas designated by statute or administrative rule for the purpose of managing a variety of marine, estuarine, or anchialine resources and their use. The resources may include any type of marine life (mammals, fishes, invertebrates, algae, etc.) and their habitats. In some cases, particularly Fisheries Management Areas, regulations may serve to resolve user conflicts. The goal of MMAs may also include preservation of cultural or historical resources. Marine Protected Areas (MPAs) are a subset of MMAs, and focus on protection, enhancement, and conservation of habitat and ecosystems. Some MPAs have very few fishing restrictions and allow sustainable fishing, while others restrict all fishing and are “no take” areas. 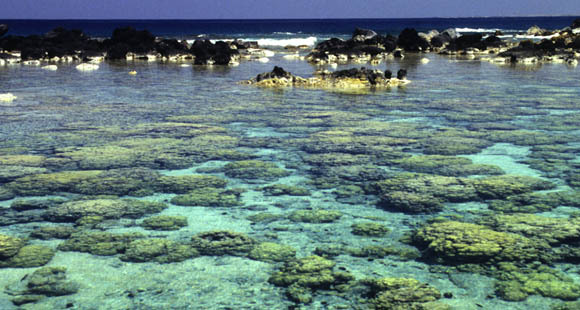 In Hawai‘i, forms of MPAs, such as Marine Life Conservation Districts, have been in use for over 40 years. influence human activities to reduce runoff, pollution, and other negative impacts that could degrade the area. cannot protect against natural environmental threats (e.g. hurricanes and global warming). DAR recognizes that there are many marine stakeholders, with the common goal of abundant resources. MMAs in general, and MPAs in particular, are tools DAR uses to achieve that goal.